Whether you are wrapping up your wedding and wondering how to recoup some costs, or shopping for that perfect beaded Berta on a need-it-now timeline, resale sites mean you can save big when you buy or sell a used gown. Although we personally love browsing a good resale shop where you can actually touch and see gowns in person, you may have limited options in your city. We rounded up a few alternate options to seek and sell spectacular gowns and poked around to find the pros and particulars of each. Pros: It’s easy as pie. You list your gown with Nearly Newlywed and they essentially handle the rest. They verify the gowns themselves (giving a little relief to buyers), and even offer cleaning services to make sure you and your buyer get the most out of the sale. They have partnerships across the industry to help promote their listings, and the fees are flat percentages so you get no surprises as a seller. Bonus: They carry wedding accessories as well, so you can use it as a bit more of a one-stop-shop. 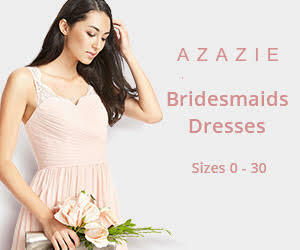 Find gowns at up to 90% (!!!) off! Fine Print : Because of all of the handy features, customer service and super easy interface, Nearly Newlywed requires a listing fee and retains a percentage of the retail sale price. Not to fret; the retained percentage is still significantly lower than many brick and mortar resale salons and well worth it if you can sell (or buy) your dream dress in a jiffy, and do it worry-free. Pros: This slick site prides itself on top google listing, so you know your gown will get coverage asap. They also boast the most comprehensive collection of pre-owned (and sample) gowns online, and an incredibly helpful interface/listing system. Filters get buyers to their dream dress in a snap. The site takes no commission (!!!) and only requires a one time listing fee. Fine Print: Seller is responsible for shipping, and because Preowned is a listing service and you invoice your own sale, they primarily use protected invoicing (Paypal and Escrow.com). You will likely pay a fee for those services. Fortunately it also means the transaction is safe for both parties. The only small downside I can see for buyers is that sellers are not officially required to post detail shots of the ACTUAL gown, and many feature designer editorial images. This can get a bit misleading when listing worn/altered gowns. Pros: The app is free, registration is free, listing is free. As a seller, your sale is final, and the fees taken by the app are clearly defined based on a price category. ONBB provides a pre-paid shipping label for you to package and ship your gown/wedding item, and buyer has a limited 48 hour window to make any complaints or request a refund after delivery. As a purchaser, you are protected as well by excellent customer service policies which ensure that if anything is missing or does not match the listing, you are not liable for the purchase. Fine Print: Unlike some other resale apps like Poshmark, the prices are firmly set by the seller, and negotiating is a no-go. The app is also quite new, so search and filters are a bit limited. Your item may get lost in the crowd, or as a buyer you may struggle to find exactly the dress you are seeking; even if it is, in fact listed on the site. 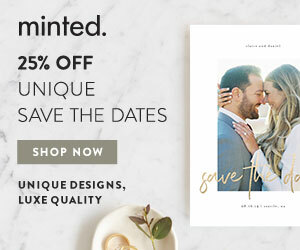 Final Word: This is a great new app for brides looking to part with some pieces they no longer need, and the developers are truly devoted to building the app to be user friendly. A great place to park your pretties as a seller, and a great place to score a hidden gem as a buyer! Pros: Easily navigable app-based search for buyers interested in your specific dress. Did you have your dress hemmed pretty substantially for a 5 foot 2 frame? Include it in the listing. Buyers have very little reason to attempt a return if your listing is comprehensive, and for the most part, Poshmark fields any buyer/seller drama on your behalf. Also, you can list at any price you wish, and buyers can make a reasonable offer on the gown instead of paying full asking price. Unlike consignment shops which often require a 50% (or more) return on the sales price, Poshmark takes a slightly lower set percentage, which you can see in your app before accepting the sale. You can also continually promote your item across the entire country, rather than letting it sit on the rack in a local shop. Fine Print: Poshmark is not specifically a wedding resale site, so your item may stay listed for quite a while before just the right buyer starts a search. Also, always be prepared for a bit of a bidding war- most items sell with a counter-offer first. The old-school buy/sell barter system. Pros: No listing fees, and you can set your price on your own terms. This also gives you an opportunity to negotiate with your buyer and make sure you both score a deal. Also, no shipping to deal with, as the buyer will likely be picking up the purchase in person. Fine Print: First-the usuals with in-person trade. Flaky buyers and sellers, and the generally unsettling stranger/danger vibe make it a tricky business. Second- the interface is not pretty and has very few guidelines. You may miss an opportunity to grab a serious potential buyer (or a great used dress) because of wonky photos or questionable product descriptions. Third- proximity. Unfortunately being a face to face system means you really only want to buy/sell in your local area and the odds that someone seeking your specific gown in your area is also your size are pretty slim.